Price excluding VAT.(Incl. VAT £36.91) *VAT Relief available on this product. The Cordless Kettle Tipper is designed for use with jug kettles. Make your favourite hot drink without spilling hot water or dropping the kettle on the floor. This is designed for use with cordless kettles. Once clamped to the kettle the strong frame takes most of the weight, leaving you to simply tip it for a quick and efficient pour. This feature is extremely helpful for people who suffer from weak hands or wrists. 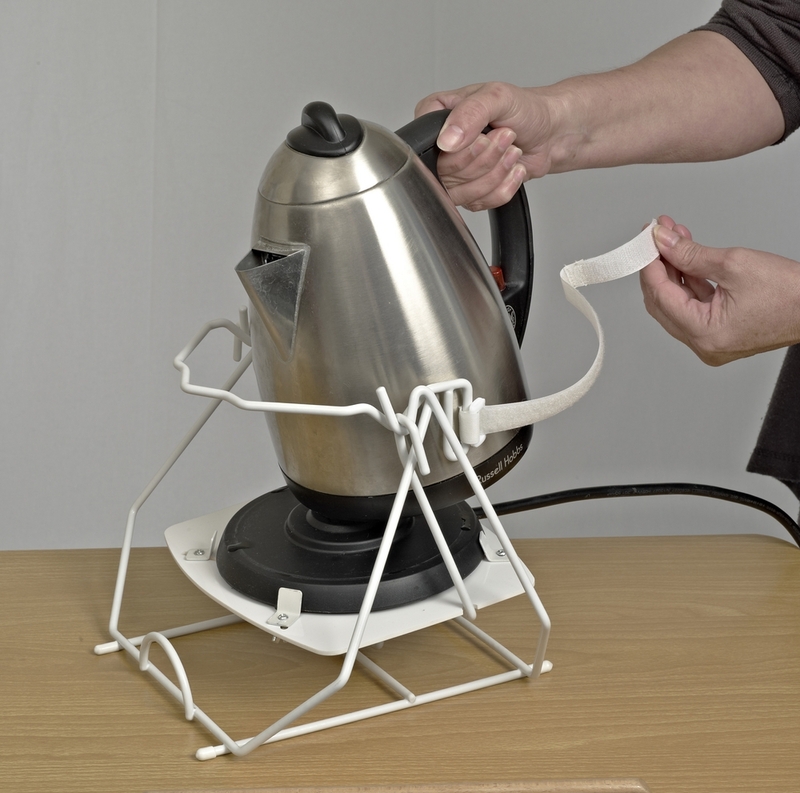 A hook and loop strap and base clamp ensure that the kettle is held securely in place. Also included, a tilt plate with stopper bar to provide maximum safety. A Kettle Tipper improves kitchen safety, as the sturdy frame will reduce spillage and eliminate the risk of it being dropped.